Looking for a gift for dad this Father’s Day? 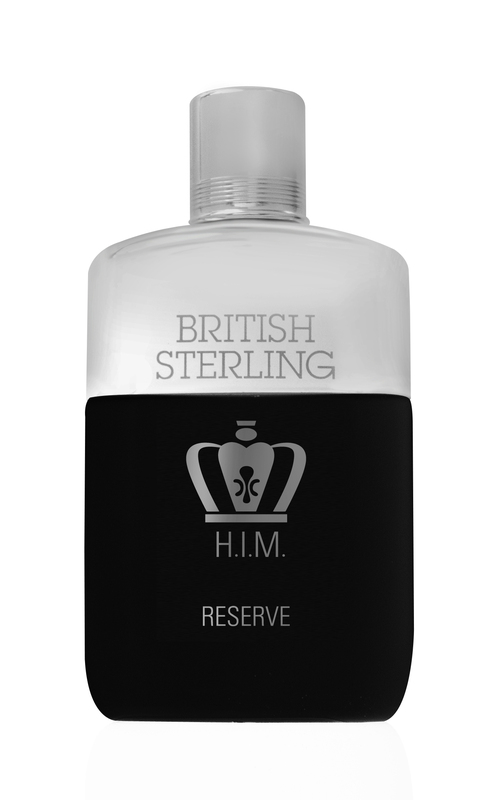 British Sterling Cologne is a great choice! Check out these classic favorites (maybe your own father used them?) newly re-released with a modern twist. The two are launching with support from newly appointed spokesperson Brooke Sterling, the fragrance’s spokesperson, who is teaching men how to make #SterlingChoices in her first “instructional” video here. These colognes will make a great gift at a very affordable price point! You can pick up your own cologne at major retailers everywhere such as Wal-Mart and Rite Aid. Be sure to learn more about British Sterling Cologne on their facebook page, too! I am very excited to offer two lucky readers the chance to win a set of both fragrances! To enter, email me at themommyavenger@hotmail.com with British Sterling in the subject line or leaving a comment below telling me something great about your dad! Please like The Mommy Avenger on facebook, pinterest and twitter for an additional entry (but leave a comment telling me you did!). Winner will be selected on or about June 14, 2014 by random via qualified entries and notified by email at that time. Open to US residents only. Thanks for the opportunity. I like the design and color of both bottles. Very elegant. They look like nice sleek bottles.. I would give it a try.. I have never heard of that one before but it looks like a great cologne. Never heard of this brand before. It has a great design. My dad is not involved in my life so I can’t give you something great. This is perfect for Dads and my husband would really love this. This sounds wonderful. I would get the “Private stock” for my husband. What a great idea. My dad is not fond of colognes and perfumes because he says he always prefers his natural scent hehe. This looks like a great Father’s Day gift. My dad built his pharmacy from the ground up. An amazing guy who helped everyone. The packaging and the brand logos looks really nice. Good luck for those joining and I’m sure one lucky dad would be happy to receive this as a gift. Sounds really nice, my husband wears cologne sounds like a brand and scent he would wear. Wow, I realized it’s Father’s day month after reading this post. I want to win that perfume, not for my father, but for myself. Never heard of this type of cologne, looks interesting; I’d like to win because I’m interested in what it smells like. I love the packaging and the way they describe the notes in the scents. Thank you for sharing. I love the way cologne smells on a man! I can’t wear it myself so I have to enjoy it on others in small doses. That’s nice that you’re doing the giveaway. I have a vague memory of the brand but I can’t remember who in the family wore it! Glad these great colognes are at Wal-mart and rite-aid! Thanks for letting us know! Either would make a great gift but not for my father. Thanks for sharing. Looks like a very classy and elegant cologne, perfect for Father’s Day! Oh My I can just imagine how these smells! I love anything with a bit of citrus scent to it! These colognes have really interesting components. I’m sure they smell super good. Make a great father’s day gift for sure. My hubs is a cologne junkie. He has more colognes than I do shoes…and that’s saying something. Will have to check this scent out one day. Thanks for sharing. Such a great gift idea and I love how cheap this cologne is. Thanks for the giveaway! My Dad has always been there for us through thick and thin and would bend over backwards for us! He showed us what a great marriage looks like and how to be a great parent. My dad is amazing. He’s worked hard for do long to provide for his family. He deserves something nice like this. Thanks for the giveaway. The cologne is perfect for dads this father’s day!